Thanks for visiting us! Take a look around our site, and you'll find out about our great company and the excellent services we provide. If there is one element on your home or business that needs to be in tip-top shape, it's the roof! Your roof is designed to keep the elements out, and the interior cozy and dry. If you have a leak, or notice your roof is starting to show it's age, you've come to the right place! 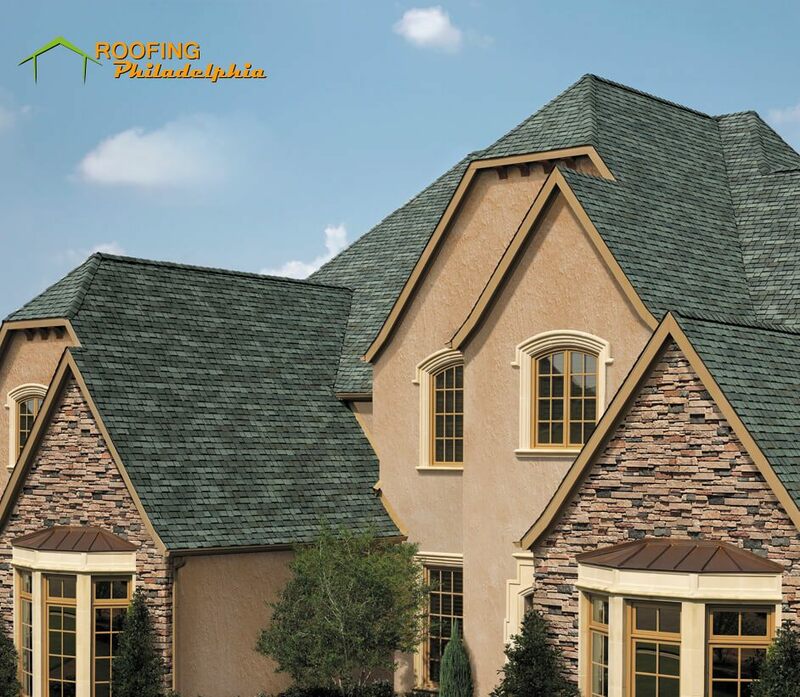 This Philly roofing company is comprised of only the most skilled roofers and contractors in the business. In light of that, we have the highest confidence that our commitment to quality and service will result in complete customer satisfaction. Our team will provide you with the highest quality construction using only the best materials on the market. We go to great strides to make sure that our customers are happy. You will never have to worry about a faulty job with us. Our philosophy is to get the job done, and get it done right! We're not one of those companies that does a job that will fall apart in a few years so you'll have to hire us again, we would prefer that you recommend us to all of your friends! You will come to see why we are the most beloved roofing company in the whole area! We offer fast and affordable commercial roof repair work. Whether you're looking for some routine maintenance, a complete overhaul, or even an emergency repair, you can be sure that you can count on us! We are the leading company in all of Pennsylvania and are most most qualified to work on this type of work. There are tons of reasons one might need to hire a roofing company for a residence. There could be storm damage from hail, a tree's branches might have done some damage, or you might simply have old shingles that are cracked and sun damaged and are in need of repair. Whatever the situation, you can count on us! Even if there is no damage to your roof, there are still plenty of service that we offer. Gutter Cleaning and Repairing. Insulation Installations. Siding Repairs. Window Replacements. Door Replacements. There is no job too large or too small for Roofing Philadelphia! Click below to see a full list of our wonderful services! Roofing Philadelphia has been great throughout this whole process! They were quick, did excellent work, and managed to do the repair under the estimated amount. I highly recommend their services to anyone needing some roof work. On top of all of this, they were friendly and conversational, which was a nice change of pace from other companies that I utilized felt very procedural and not very personable at all. They got the work done and they did so while making me laugh and happy all throughout the experience. I can't recommend them enough! Whether you're looking for residential work or commercial work, they are simply spectacular. As a General Manager of an aging cinemaplex, I have found it rather difficult finding a company that can do a competent job with our roof. In the past, we have had companies that would do a quick once over and it would result in our roofs leaking, and we even once had a company do such a bad job that the floor actually caved in during a movie! Well, we decided that it was time to stop messing around and go to the best at Roofing Philadelphia, and boy were we happy with their work! It has been years since we utilized their service and our roof has never looked better! We even recommended them to a partner theatre, and they had the same experience. They provided a truly remarkable service. Ever since my husband passed away, I've always had trouble finding someone to help me out with my roof. Most of my children have moved out of state, and the youngest is deathly afraid of heights, so as a result I have had so many issues with my roof. My gutters would clog up frequently, and my shingles were beginning to crack and fall right off the roof. I greatly value the appearance of my home, and it was beginning to get rather embarrassing. The fine folks over at Roofing Philadelphia really made all of the difference! They are so competent and just as sweet as can be! I was recommended Roofing Philadelphia's services by a friend and I couldn't be more pleased! To be honest, at first I wasn't expecting much. I have had bad experiences with roofing companies in the past where they would end up late and my business for the whole day would be disrupted. As a small business, it is important that I am open and functioning as many hours as I can be, so I'm glad I gave them the call. They arrived bright and early, and got the work done quickly and efficiently. My business was barely disrupted by their work. I know they did such a great job that I won't be requiring their service for a while, but once I do need it again, I know exactly who I'm going to call!